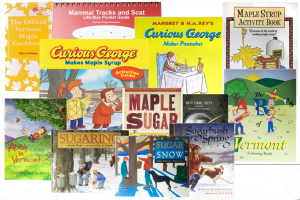 2019 syrup is here! 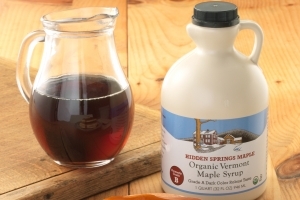 This is our 100% pure Certified Organic Vermont maple syrup made during the 2019 season, which is still underway. Available in quarts of Golden Delicate and Amber Rich only. Kosher certified. 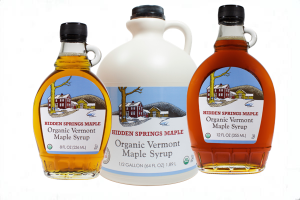 Hidden Springs Maple is a family maple farm in Putney, Vermont where we started making maple syrup over 50 years ago. 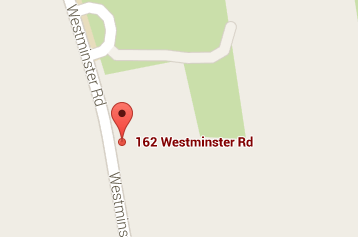 Our sugar bush spans over 1,000 acres in Putney and Westminster West, Vermont. 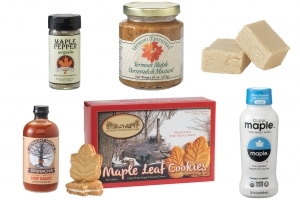 Hidden Springs Maple is proud to be a member of the Vermont Specialty Foods Association! 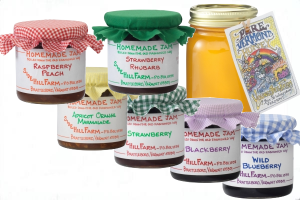 Recently Vermont Television Network paid us a visit in Putney, VT and filmed a short 2 minute promotional video at the Hidden Springs Maple Farm Store. 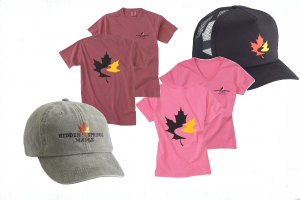 Watch the video to learn more about our store, farm and products. We are proud to announce that Hidden Springs Maple Organic Syrup has been certified by the non-GMO Project. Mike Stockwell manages bulk syrup and syrup bottling operations. Gail Murray looks after the Farm Store. very good service & alway very good syrup. Always happy with Hidden Springs syrup! I try to buy in quantity so it lasts a little while. 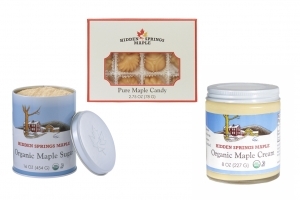 My whole family loves pure maple syrup and we are very happy with the flavor and customer service of Hidden Springs Maple Syrup. The Best maple syrup, period. We order by the half gallon and love it. Tastes wonderful and we like the fact we can purchase it organically as well. Shipping and customer service is top notch. Truly the best Dark B syrup! I purchase this grade A, and Fancy on a regular basis. We started going to Hidden Maple Springs 3 years ago when we bought land in Windham. Wanted to support a "local" business. 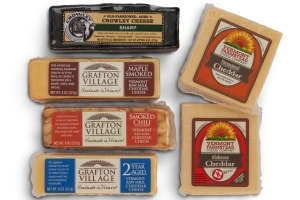 We order online and in the store when we travel to VT. Nicest people. Love the store. Highly recommend. A++. The flavor in unbelievable!!! Rich but not overpowering. Syrup lovers know there is nothing like Vermont Fancy. I look forward to getting a new half-gallon a few times a year at my home in NYC. Tremendous taste and value. We have been getting this syrup for years. We give it for gifts too. I know it is a little more expensive than some others, but the taste for some reason is so much better. Never run out. Have to have it for our pancakes and French toast. The one thing I miss about VT! 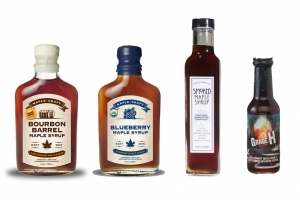 These make great gifts for those on your Christmas list who have everything but have never had VT Maple Syrup before. How awful is that? 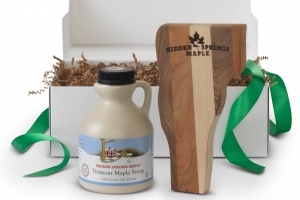 Thank goodness for Hidden Springs and their wonderful maple products. I've ordered this syrup in volume on multiple occasions, it always tastes great and is shipped quickly. The Vermont Fancy is also very good, sometimes I get that as well but prefer the Vermont A grade due to its increased maple flavor. It doesn't get any better than this. Love it. ideal maple flavor. ideal consistency. perfect with all the usual suspects: pancakes, waffles, French toast; but try it warmed slightly with fresh, chopped walnuts as a quick miniature dessert. this has real maple flavor. it is very thick and tends to separate while in the jar. bit of a job stirring to the right consistency. i used a hand mixer with a special attachment while warming the jar in water. try on a hot english muffin with butter. Great price , great taste. Love it as usual. I moved to Florida from Vermont but there was no way I wasn't going to have REAL maple syrup. Service has been excellent as well. Delicious, easy to order and amazing price. 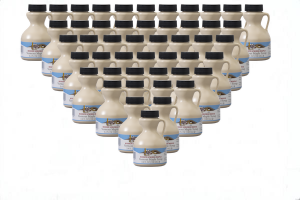 We love maple syrup on our pancakes, eggs, sausage and more. This was the perfect price, delicious product and easy ordering. 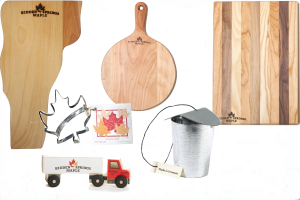 This is a great company with a marvelous maple syrup fit for home or restaurant use. YUMMMY!!! No fancy cooking or candy-making, for me...I buy maple syrup for two reasons: waffles and pancakes. And when that's what you're eating, you've just got to have real Vermont maple syrup on the table. In fact, when eating at our favorite breakfast spot, we take along some Hidden Valley syrup in a glass pint bottle. You should see the envious looks (and occasional requests to share) from my fellow diners! BTW: If you guys offered your labeled pint bottle (maybe as an extra-cost 'accessory' for folks buying syrup in jugs? ), I'd buy it. The one I'm using is from a store -- an emergency purchase, during a recent road trip. We usually buy enough at Christmastime to last for the following year. This year we were running short when I saw the half gallon sale. Saved! We love this syrup for our Kodiak flapjacks. Have been buying your Grade B for some time now and love, love, love it! Thanks as alwyas! I use the lighter syrups - Fancy & Amber - as a sweetener in place of other sugar products. Healthy and great tasting. Really enhances the flavor of anything that needs a sweet touch. The dark is a bit more robust - pairs well with root vegetables and cacao infused oatmeal. 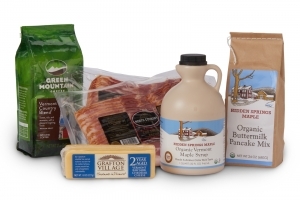 Hidden Springs Maple is proud to be a member of the Vermont Specialty Food Association!